The Armstrong & District Curling Club is located at 3315 Pleasant Valley Road, within the IPE fairgrounds and just behind Centennial Hall, so we have lots of space for parking! We have been at this location since 1967 and our building has been through several upgrades and renovations over the years resulting in a modern and comfortable lounge, expanded kitchen and 3 sheet rink. Our active membership base is between 225 and 250 each year with evening leagues, day leagues for seniors 50+, and a focused Learn To Curl program. We have certified trained coaches who can provide instruction and welcome new curlers of any age. If you have joint problems or mobility issues and can’t deliver your rocks “out of the hack” as you see on television, we can show you how to deliver rocks using a “stick”, in which you stay standing and walk out to the release line. After having fun on the ice we invite you to join your teammates upstairs to the lounge for a great social experience! That is what curling is all about! Our Winter Season is over…..we will begin again the week following Thanksgiving! Armstrong & District Curling Club is excited to invite you to our 2019/2020 Season!! All leagues resume the Tuesday immediately following Thanksgiving, offering leagues for Men, Ladies, Mixed, Doubles, Seniors, Stick and Juniors. Registration will be the 3rd Friday in September and it is recommended you attend or at least let us know what leagues you are interested so you don’t miss out. Watch for our booth at the ASET Green Fair on April 27th in the Askews parking lot and at one Farmers Market in each of May, June and July, dates to be announced. Next fall we will again host 10 our week ADULT TRY CURLING PROGRAM, on Mondays from 5 pm to 6:30 commencing mid October. We offer this every fall for anyone looking for in-depth instruction. The last two year’s graduates are playing on teams and have gone out feeling confident in their skills and basic knowledge of the game Let us know if you are interested in this program. Contact Terri Nicholson at 250-546-2800 for details on these and other programs, or go to our Facebook page. Next fall we will also offer our Juniors Program. This is after school on Wednesdays with our trained club coaches. Parents, this is the most affordable winter sport you can enroll your youngsters in and its FUN! The fee includes free hot chocolate after each session, two pizza parties during the year and a chance to compete in Junior Bonspiels. Maybe your child will be a future curling champion! NOTE: Please let the club know if you are seriously interested in resuming a Mixed League on Friday nights. We need a minimum of 6 teams to make it viable – that 24 people. A BIG Thank You to our Sponsors: Askews Foods, Shepherds Home Hardware and Nelson’s Glass for your generous support!! 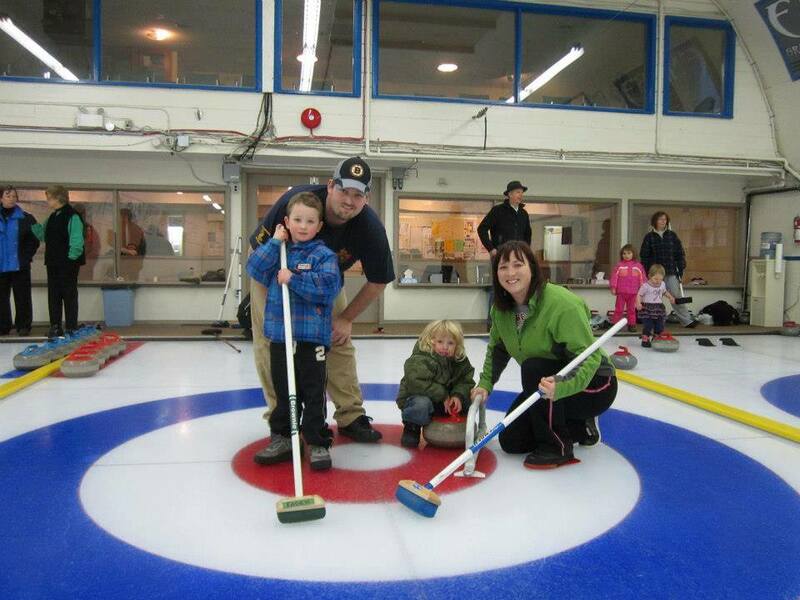 Your help grows Curling in our Community!